The Crosstour action camera records in 1080P. You probably came across other cameras in this price range that claim to record in 4K as well. The truth is – they can, but the FPS rate (frames per second) is low – around 25. That’s why most people use these 4k action cameras only for 1080P recording. Also – if you plan on recording long videos – 4K may take too much storage space and you won’t be able to store as much on your MicroSD. The video quality of the Crosstour sports camera is excellent – sharp and clear. Another excellent action camera with similar video quality is AKASO EK7000 (Amazon link). It’s a very popular model, so check out both and see which one you like more. Another great action camera worth checking out if you need 4K recording at great quality – is YI 4K (Amazon link). It is made by Xioami and while it’s not a professional 4K camera – it does record in great quality. It’s in a different price category of course, but if you really need great 4K video quality – then you won’t find cheaper devices, unless you don’t care about the FPS rate. 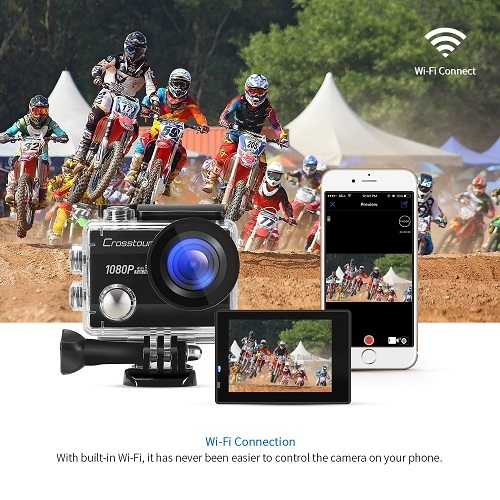 The Crosstour action camera has built-in WIFI. All you need to do is download the iSmart DV app to your smartphone (it’s free), pair the devices and you can start controlling your action camera from distance. The app itself is very easy to use. Crosstour did not develop its own app (which is a very expensive thing to do, causing in increase of the product price) – so it uses a generic app – iSmart DV. That’s a pretty common practice. Small sports camera companies can’t spend tens of thousends of dollars on developing their own apps. You benefit from that as well – you pay less money for the camera itself. 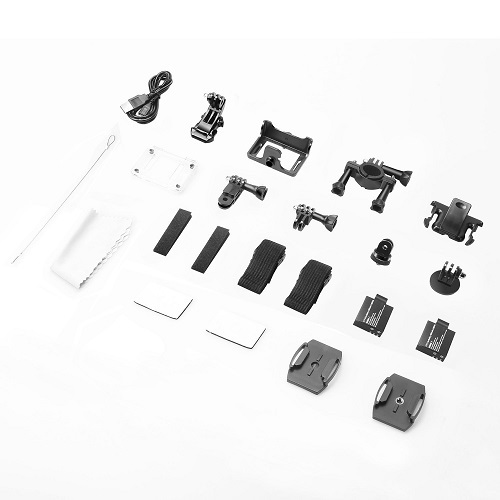 The Crosstour sports camera comes with different mounts and accessories. A waterproof case is included as well. Install it and you can record videos underwater as well. Some people use the case outside of water as well, for added protection – and that’s fine, just remember that when the waterproof case is installed – the microphone is blocked, so the sound quality is not as good as without the case. Some action cameras come with almost no accessories and mounts, and buying them separately is not cheap at all. So here you save money, and get almost everything you need. Just buy a MicroSD card and that’s it – you can start recording. I recommend buying class 10+ microSD – like one of these (Amazon link). Don’t buy and use memory cards bigger than 32GB – because they won’t be supported. Currently (21/09/2017) the device comes with 2 batteries – each one is 1050mAh and should last 45-90 minutes – depending on the video quality and other factors. You can buy additional batteries online but I think that for most people – 2 batteries is more than enough. If you need a good action camera with excellent video quality, WIFI, and many included accessories – defiantly consider buying this device. It’s great and defiantly worth its price. 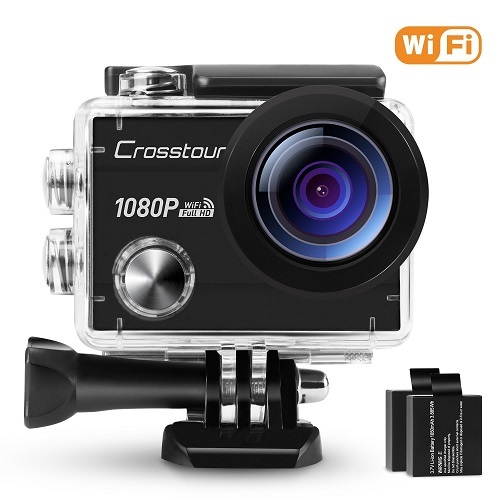 I hope you will find this Crosstour action camera useful. If you have any questions – comment below. I want one to record my live electric guitar. Is the mic up to it? For example, my ancient Panasonic DZ5 records it fine but my much newer and well reviewed Logitech cam is useless at recording anything that’s a bit loud. It says that the audio can’t be supported. The video is there but no sound. Anyone else having this issue? I have a Samsung galaxy7 not sure of that’s the issue.